NORTH EASTON, MA JANUARY 11, 2011: Lucas Murphy will be the 15th Ultra4 car off the line at the 2011 Griffin King of the Hammers February 11, 2011. 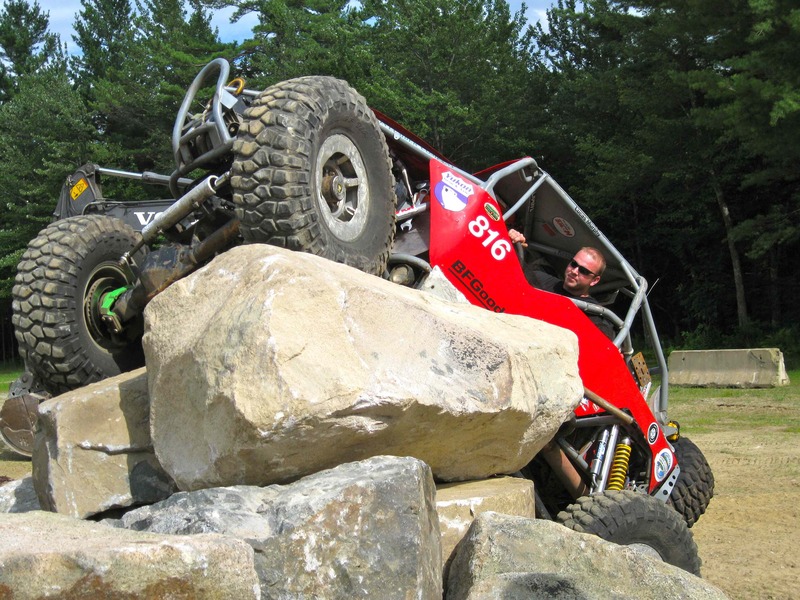 Lucas Murphy qualified for the 2011 King of the Hammers at the Rausch Creek Qualifier in May, raced and won the Southern Missouri Off Road Ranch International Endurance Race, placed 4th overall in the International Endurance Series (IEC) and won the RCRocs Rock Race Series in 2010. Murphy qualified for the 2010 Griffin King of the Hammers at the Rausch Creek Qualifier in 2009. He drew the 85th starting position, and was excited to even be on the lakebed. “We made the trip all the way from the Massachusetts to compete in the King of the Hammers without ever running any of the west coast rocks!” remembers Murphy. “We pre-ran a lot in the rig and come race day we passed something like 45 cars in the first 30 miles. It was awesome!” As night fell on Hammertown, the Murphy’s Law Motorsports team crossed the finish line and took the checker flag 23rd, even after loosing about 90 minutes caused by a broken steering knuckle. “I am just a lucky guy to have such great friends, family and sponsors. I am really proud to have been able to qualify for King of the Hammers and am looking forward to another competitive year.” The entire Murphy’s Law Motorsports team is ecstatic about coming to the west coast and competing in the biggest race of the year.